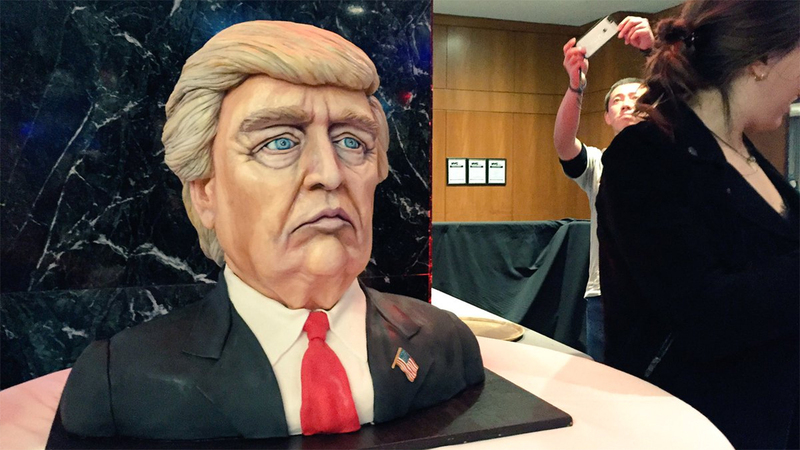 NEW YORK -- Donald Trump is hoping to have his cake and eat it, too. 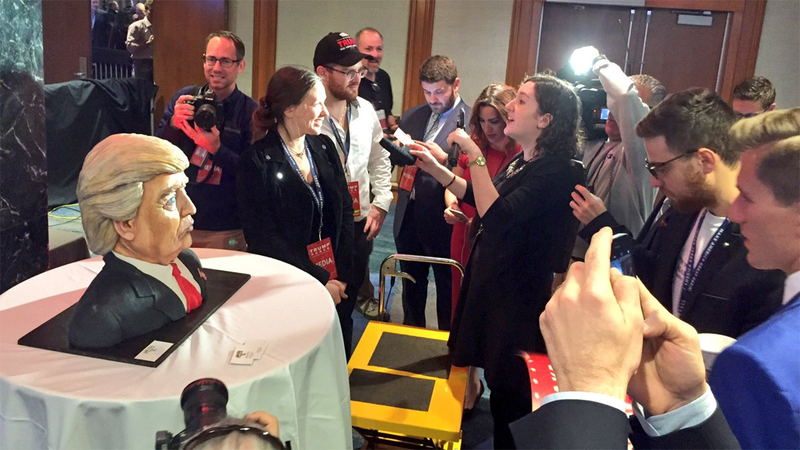 A cake featuring a bust of the Republican presidential nominee was wheeled into Trump Tower Tuesday afternoon. 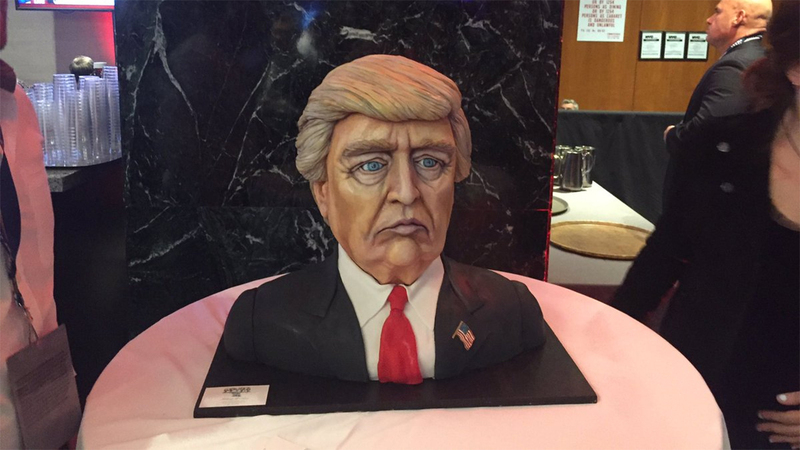 The cake was donated in hopes of a Trump victory party. It cost over $7,000 to make, ABC News reporter Katherine Faulders says. 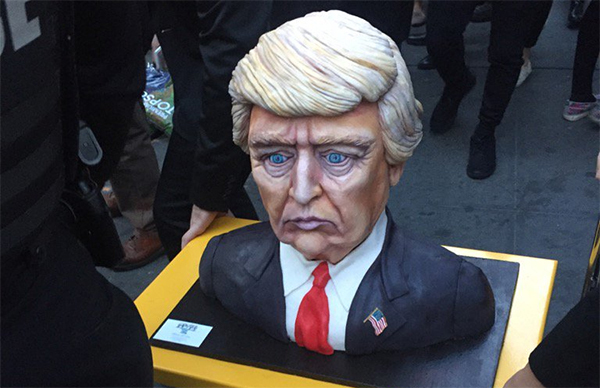 It took the cake's baker 50 hours to create the finished product, according to ABC News.